Kershaw has made an improved model of the Torx Tool. 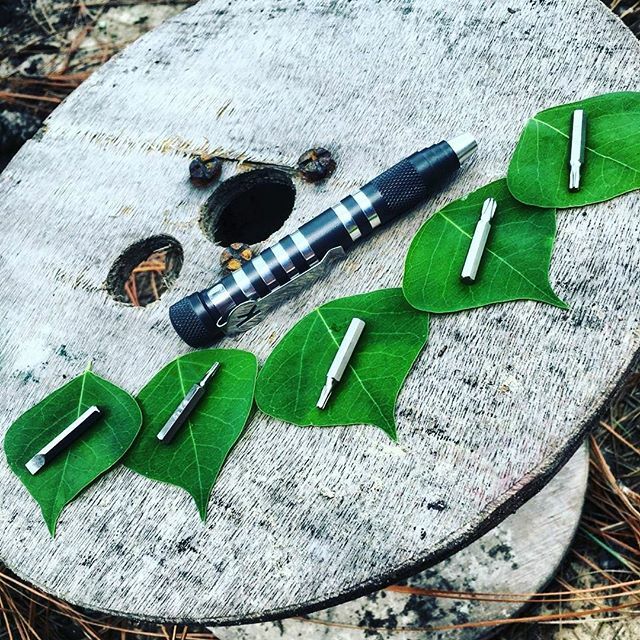 The TX-Tool looks like a pen, even has a clip to put this tool on your shirt pocket. There is a cap on the top, loosen that up and the five tool options can be taken out. Then apply the size that you need to the bottom end and your accessory is ready to use. 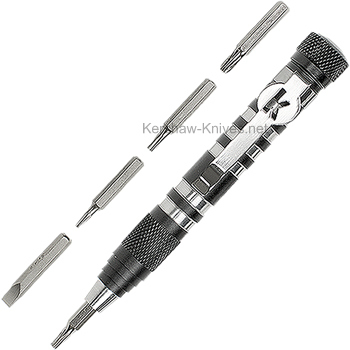 It includes five key bits for adjusting all your Kershaw knives: T-6, T-8, and T-10 for most Kershaw knives, plus the slotted and Phillips® screwdriver bits for the Kershaw–Emersons. A magnetic bit driver helps to hold the bits on tighter and helps to get them on. The bits are made of steel and are stored within the handle.